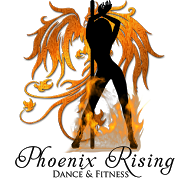 Start taking classes at Phoenix Rising Dance and Fitness LLC and other studios! The Liquid Motion® Class is an open level class that utilizes conditioning, sensual movement, and dance theory, to provide the student with a total mind and body movement experience. In this 60-minute class, participants will learn the fundamentals of Liquid Motion® to build a foundation for floor work and wall work. The class is made up of body conditioning, lateral movement drills, intricate floor flows, exploration of sensual movement, and an understanding of total body awareness, or simply, Liquid Motion®. There are no upcoming “Liquid Motion Drop In” classes on this day. Please bring knee pads for Liquid Motion classes.